Alabama DeSoto Trail trailblazer along U.S. 82 near Alabama 69 in Northport. 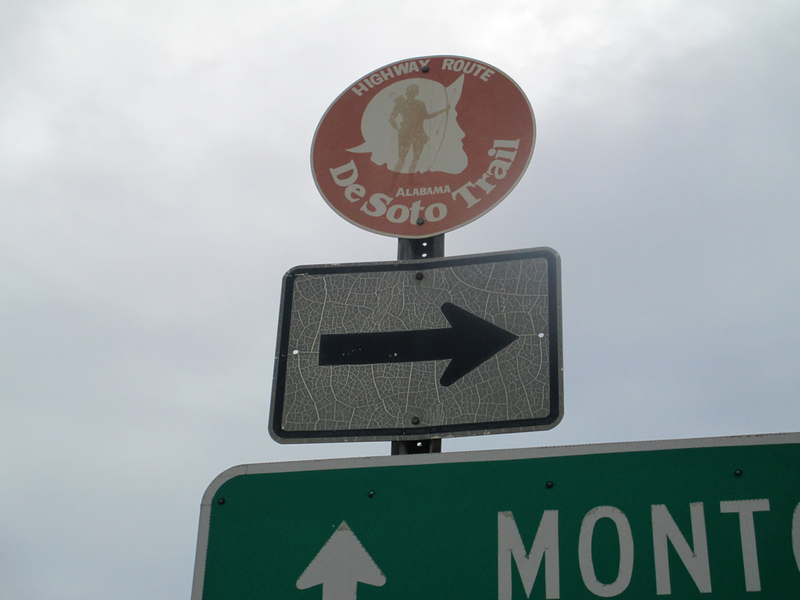 The Alabama portion of the trail, traversed by Hernando DeSoto in 1539, generally follows Pickens County 30, U.S. 82 and Alabama 69 as part of its routing through the state. Photo by Matthew Taylor, 2/4/2013.